In the face of the most irrational and reprehensible opposition after having been elected to the Presidency at the worst fiscal, political, and social time in American history, look at the achievements of the President of the United States of America, Barrack Obama. Compared to the same time that Bush and the Republicans were in charge, nothing of this caliber was accomplished! And this means what to u…..
How has any of this changed your life? This means we now have a leader that genuinely wants to see “Change” in this country, unfortunately our problems are bigger than one President to remedy. But at least he’s trying. I feel more confident and proud with Obama than I did with that dummy 4 years ago. Its sad that people have no clue the difference between the powers of Congress and the President. They want to throw all of Congress’s dirt on a President that wasn’t my first choice, but despite that he is our President. Personally, my family has benefited from some of his tax cuts and programs. Would like congress to step up and do their job for the people vs corporations. If this doesn’t tell the story what on earth will. Please tell me. this NEEDS to be updated – especially given the news he IS going to try terror detainies at GITMO – the place he said would be shut down – now the continued white-wash of 9/11 can happen! yay! 9/11 wasn’t important at all – now we will know less of this outcome and related ‘evidence’ – just one example…..
Every politician has an agenda unfortunately. But America’s insatiable push for conquest and oil consumption is much bigger than Barack Obama. This man is my President. Period. I’ll do my best to update it. It took an incredibly brave person to step up to the plate to try to set straight all of the errors, misuses, messes left by the Clinton and Bush eras. It is good to know and be reminded of the positive things that Obama has accomplished instead of only the negatives. I find it interesting that the first dozen things on the list are wishful thinking. • Ordered the White House and all federal agencies to respect the Freedom of Information Act and overturned Bush-era limits on accessibility of federal documents (2009)**Some FOIA requests are taking longer than ever now. • Instructed all federal agencies to promote openness and transparency as much as possible (2009)**As much as possible???? That’s a pretty big back door, wouldn’t you say? • Placed limits on lobbyists’ access to the White House (2009)What kind of limits? • Placed limits on White House aides working for lobbyists after their tenure in the administration (2009)But did not BAN them from working for lobbyists. • Signed a measure strengthening registration and reporting requirements for lobbyists (2009) Wow! Now there’s a major change, huh? • Ordered that lobbyists must be removed from and are no longer permitted to serve on federal and White House advisory panels and boards (2009) * Note: After saying he would not hire lobbyists, a few have been hired in the Administration. Sounds like a broken promise to me. • Companies and individuals who are delinquent on their taxes or owe back taxes are no longer allowed to bid for federal contracts (2009) This is not being enforced. I stopped at the first seven. I can certainly understand the desire to make Barack Obama out to be the president we hoped he would be. But wishing he was is not the same as reality. And as far as I can see, reality is way different than the rhetoric and the promises. *Guantanamo is still open and habeas corpus is still withheld from prisoners there. *We are still in Iraq and intend to be there using our dozens of large permanent military bases for a long time–after all, Iraq has the second largest oil reserves on the planet. *We were told that war should be a very last resort, but now we are in both Pakistan and Libya–bombing = war. *The Health Care “Reform” bill is a hoax that will set real health care reform back decades. Congress will no longer have the will to revisit the issue. And what did we get? Insurance companies unchained. They can’t deny coverage for pre-existing conditions, but they can legally make it totally unaffordable. The result is the same as before the bill. *Financial “Reform” was a scam of the highest order. The financial companies were given a free pass and more power than ever to control the economy. What was needed was a return to the Glass-Steagal Act regulating investment banking activities. * Obama promised to keep lobbyists out of the administration, but hi newly appointed Chief of Staff, Bill Daley headed JP Morgan-Chase Corporate Responsibility division, which included oversight of the firm’s lobbyists and relations with government officials. I wish I could find some truly significant changes and intitiatives that Obama has made, but there aren’t many. For the most part his tenure has not been significantly different from his predecessor’s or certainly not different from Bill Clinton’s. Im humored by your cherry picking but this post was not made to paint Obama as a perfect president. Theres no such thing. All presidents are tools, in fact the American public has no idea what the job really entails and that our so-called “Commander and Chief” has much LESS power than we think. With that being said, in the last 20 years, there hasn’t been a more pro-active, progressive, poised, educated & tactful President than this man. Every president has an agenda and we never have and never will see one that fulfills all campaign promises. Also, not to play the race card but being the first African American Pres isn’t a walk in the park. He’s making sure not to step on toes and frankly he playing it safe (bi-partisanship) to avoid attempts on his life. Yeah there are some people waiting for an excuse…i.e. Tea Party. Simply stated, he’s not our savior, he could never be….but he’s a lot better than that idiot who was in office 3 years ago and despite his job limitation, I believe he has genuinely good intentions. In response to the “wishful thinking” as you stated at the beginning, what exactly would you expect. At least he has hopes for a better country. He is trying to give people that didn’t have a fighting chance at the turn of the economic down turn a chance. If it wasn’t for some of the revisions he made, with congress, I know several people that would not have their homes. Also, as a parent to a child with a “pre-exisiting medical condition” I would like to say that as a mom, I am glad my son will be able to get insurance and medical coverage. This year alone he had $250,000 in medical bills. How many insurance companies would have wanted to foot that bill? Healthy Americans gripe about the increase in costs, but they aren’t appreciative of the fact that they are healthy and don’t have those types of medical costs. Also, it is not OBAMA’s fault that insurance companies are taking advantage of the system. I know several insurance companies that have stayed stead-fast in their policies and coverage and price (Cigna). To counter the increased costs they stopped covering things that were not a necessity, like therapeutic massage. So insurance companies could do it, but they don’t. A lot of the things Obama has implemented has helped the less fortunate: people loosing their homes, people with disabilities, VAs. Our president should not have had to pass bills to help correct the imbalances in our nations help of these people and the fact that many Americans can’t look past themselves is the reason they had to be passed. If you are that closed minded that you can’t see that, or that selfish that you don’t care about others, then frankly I pity you and hope one day you will learn some empathy. Can’t we leave the race out of it? It feels like a huge bias to be proud because he’s black, or at least when posted on a page that illustrates his accomplishments (has nothing to do with race). Of course I could easily argue against myself in this case but for now, how about “My President Does Not Shame Me” instead? I didn’t see this on the list. He ordered the elimination of Bin Ladin. No small feat. And he actually speaks in complete sentences. He is the first illegal alien to be elected as POTUS. He will be the first illegal alien POTUS to be impeached, which will happen next week. For the Obama worshipers.. actually his legal name is Barry Soetoro… the massive evidence proving he is an illegal alien, citizen of Indonesia who was born in Kenya will be released tomorrow, Monday may 23rd, a day that should become a national holiday remembering when the citizens of the USA took the government back from the Rothschild Banking Mafia. 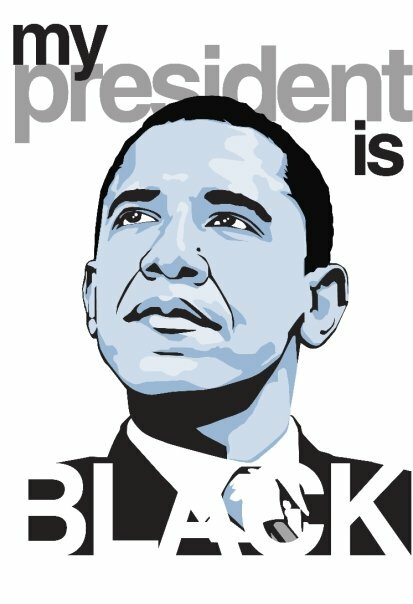 Pingback: Clareified » Blog Archive » Happy Birthday, President Obama!